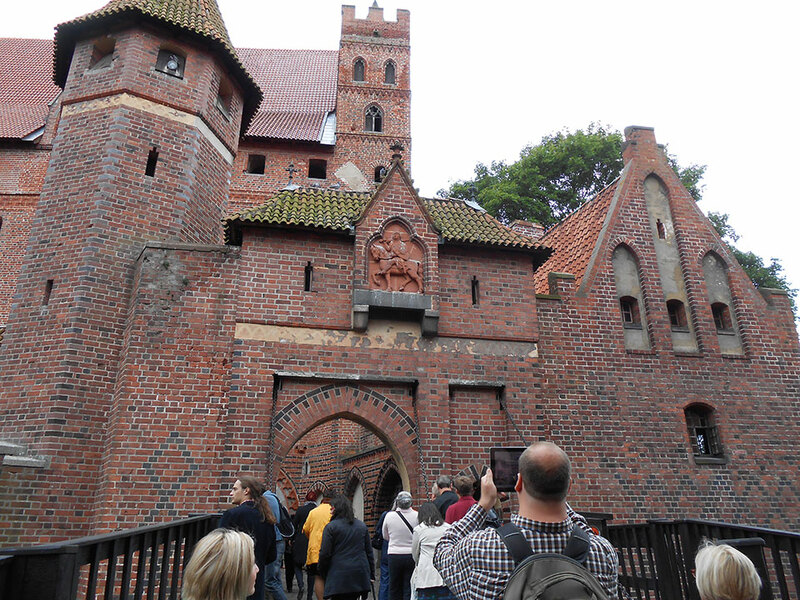 This collection is filled with photos of various castles and buildings throughout Torun and its surrounding territories. 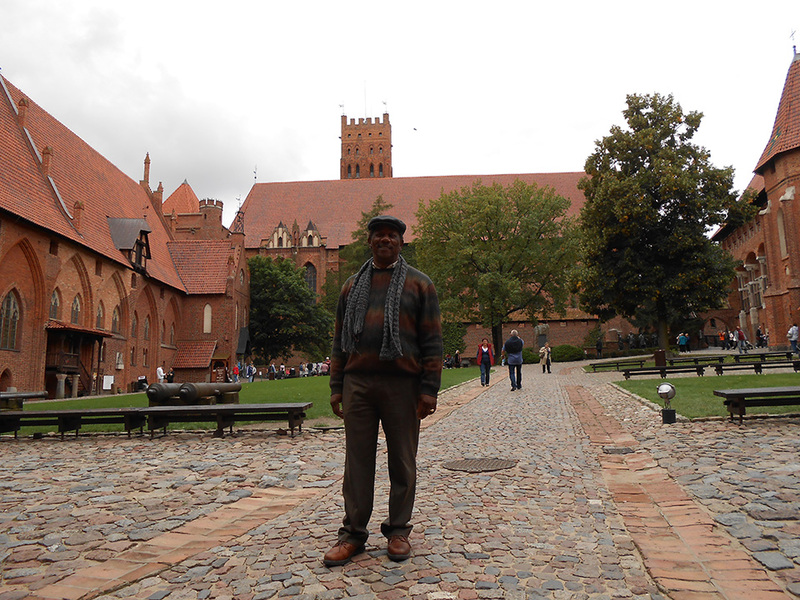 Completed in 1406, Malbork is an excellent example of a medieval castle. 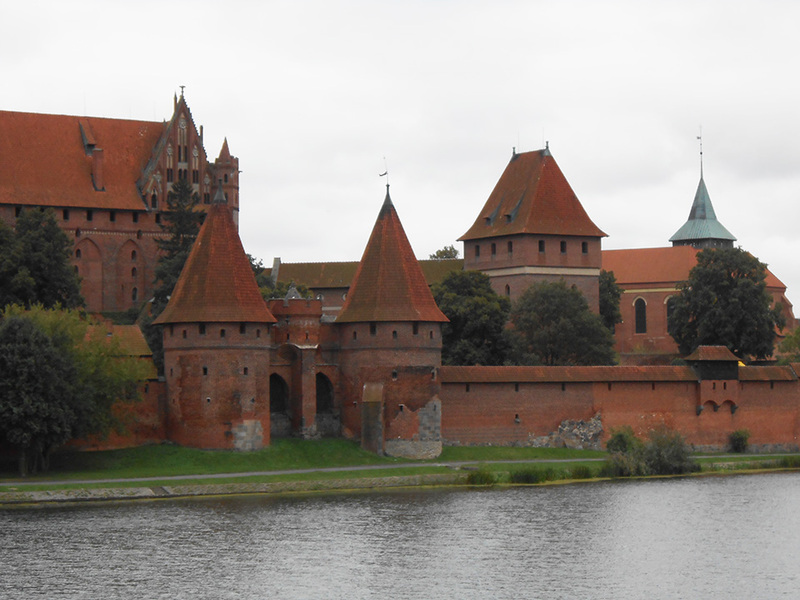 Built by the Prussians in 1406, we are crossing the bridge before entering the front of the world’s largest, surface-wise, fortress. 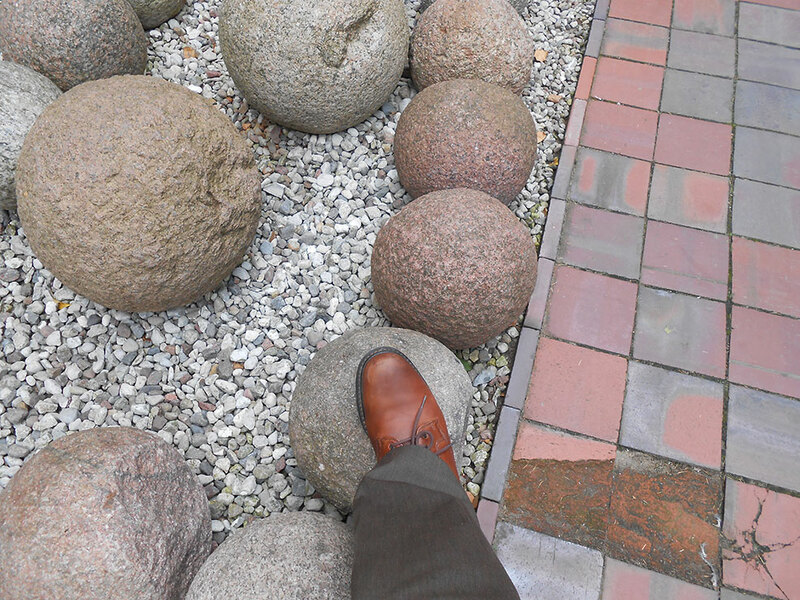 This was, and perhaps still is, the largest of similar structures made of brick. After passing under two gates with sharp edges, nearly hidden holes where archers stood waiting for an intruder, or some type of hot substance (e.g., oil) that drops from above, I’m now standing in the inside of this enormous fortified castle. 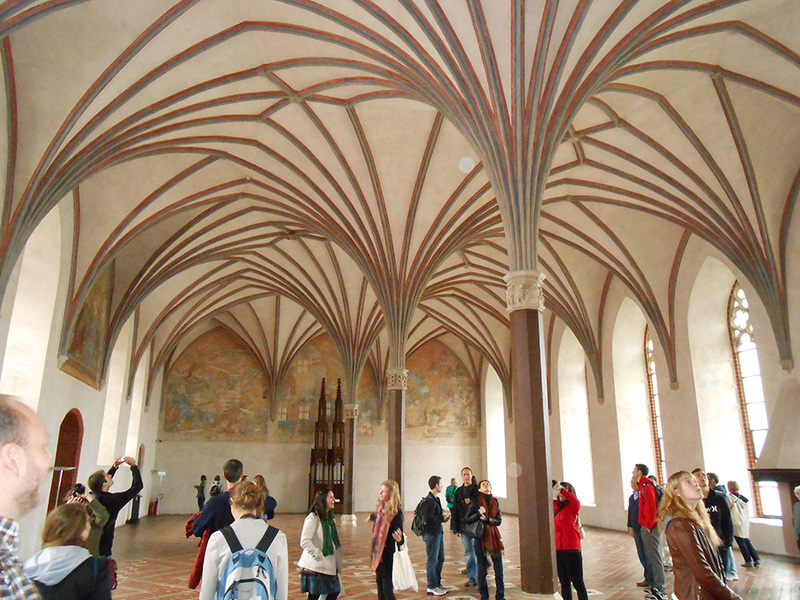 Here we (Fulbrighters) are standing in one of the rooms the Teutonic Knights used for socializing and entertainment. The heating system in this castle was nothing shy of ingenious.